Superb read from a talented author! A unique and imaginative book that had me hooked from the opening pages. I will certainly look out for this author. 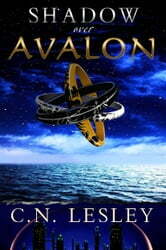 Shadow Over Avalon by C. N. Lesley is great fun, steeped in legend, but paced for a quick read. If you like your fantasy with a nod toward the Arthurian, you'll enjoy this book. I received this book as a gift and, boy, it was about the best gift ever! C. N. Lesley's "Shadow Over Avalon" is nothing short of a masterpiece! The novel is an imaginative and complex re-telling of the Arthurian legend in which Lesley has created a future world full of wonders and perils that slowly and intricately are revealed in a rich and multi-layered plot. In the beginning, we are immediately sucked into the story of Ashira, a king's daughter in a rather primitive world, ruthlessly traded away in marriage to Uther, The Dragon. Juxtaposed with her tale is the story of Arthur, a young lad living in a futuristic undersea community, who is desperately trying to discover his lineage while, at the same time, trying to evade the suspect agenda of the "seers". Eventually, these two worlds collide as factions from each join forces to defeat an even more menacing foe. The world that Lesley has created in this retelling of the ancient legend is so layered and complex, this reader was constantly reminded of Frank Herbert's epic masterpiece "Dune". 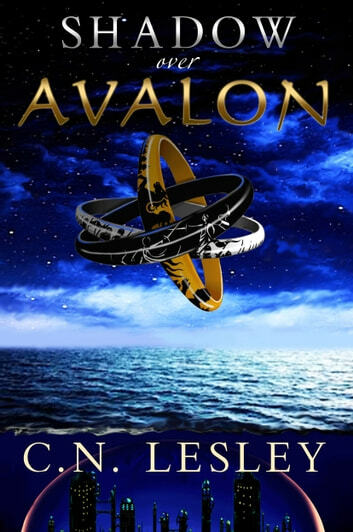 This is a must-read for all science fiction/fantasy fans, but will enthrall any who enjoy a fast-paced story with characters you cannot help but come to care about. I can't wait to read the sequel! To avid spoilers, let me just say, I enjoyed the book immensely. I have no doubt you will too. I plan on reading the rest of this authors offerings. I can't say that about most authors.